The iPhone 5 release date is coming. And according multiple sources, that date will be September 12, when Apple will finally let us feast our eyes on the device. There is no doubt that plenty of hype surrounds this launch. But according to new reports, this launch could be the biggest in Apple’s history. The report comes from AppleInsider. Someone kept tabs on Apple’s suppliers, and reports show that July had their highest sales spike on record. Here’s what that could mean. Apple is anticipating absolutely massive sales for the iPhone 5 and decided to really ramp up production to meet the demand. But there is a much likelier reason that Apple’s suppliers had such a great month. 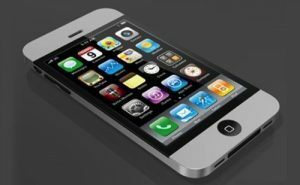 Plenty of rumors have been swirling around that when the iPhone 5 release date comes around, it won’t be the only device on display. Rumors of the iPad Mini have also been circulating giving it a chance at appearing as well. There may also be announcements of new iPod Touches. In fact, the iPhone 5 launch may be used to launch rebranding of all of Apple’s iProducts. The rumors of the smaller dock connector could be applied to all Apple devices. And judging from the fact that the most recent iPad was called ‘the new iPad’ instead of the iPad 3, it is possible that Apple may launch a whole line of ‘new’ products. While Apple’s suppliers probably know what’s going on, we won’t know for sure until the iPhone 5 release date. But there is no doubt that that day will be vital for Apple.